I don't want to jump to any conclusions, but have you given any thought to whether your libertarian blogging activities, as well as your very vocal presence here arguing for MORE concessions operated federal parks may be playing a part in this? Looks like a great media opportunity if you can get a camera crew out there to talk to you, the sheriff, and the forest service people. Why on earth is a bootstraps-pulling, self-sufficient libertarian like you sucking at the government teat? Why don't you get a job where you can earn a living without implicit subsidies from taxpayers? You hate the government, so it infuriates me that the government grants you the boon of your contract. Someone less delusional, and more capable of gratitude, would do a much better job. "Why on earth is a bootstraps-pulling, self-sufficient libertarian like you sucking at the government teat?" From what I gather from his posts, he pays money to the government for the privelege of managing these sites. How, exactly is that "sucking at the government teat"? Goddamn. This series of posts sure has dragged the assholes out of the woodwork. Are you really surprised by all of this? He has a contract, with clear terms. The terms have not been violated. And so, as a mighty, self-sufficient libertarian, he whines and cries and moans about the unfairness of it all when the other party to a contract he signed acts -- in a fully-authorized way -- contrary to his interests. And if you TRULY believe in libertarian ideas, you'll feel the same way. Why don't you argue that a shut down is illegal (for whatever reason you can come up with), and stay open until a judge orders you to close (which surely would take longer than the shutdown)? How do you know the terms have not been violated? Because he said so in another post. This was my thought too. It's easy to get conspiratorial about these things in the absence of any real communication from the agency. But I wouldn't be surprised that a major advocate for privatizing park services might have a bad reputation within park service authorities. It's not any more conspiratorial than the idea that the IRS would target tea party groups applying for tax exemption. There is so much wrong with your thinking and post it is hard to know where to begin. First, he is not earning a living with subsidies from the government. He has, as you point out, entered a contract with the government. There are no subsidies involved. Secondly, it is amazing that you feel that only people who support the government in everything should be able to be granted a contract with the government. It is infuriating to me that in essence you are demanding some type of loyalty test to be able to sign a contract. I don't care one iota what the author's feelings to the government are. I do care that he fulfills the contract to his best ability and provides the services he is required to provide. It appears that you don't care about the quality of services, but his speech and opinions not toeing the government line. Thirdly, while it could be asserted before that the NPS was not violating the terms of the contract, it is clear now that they are. 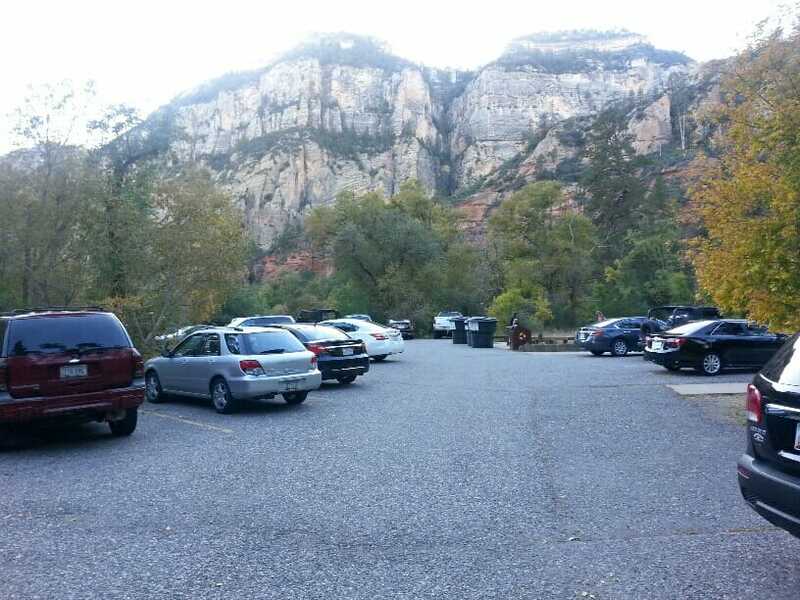 The author has stated that the terms of the contract allow the NPS to shut the park for almost any cause. That very well may be true, but the fact of the matter is that by opening parks (including ones he is contracted to administer) the NPS has demonstrated that there is no cause for the parks to be shuttered. Furthermore, unless the contract states to the contrary an argument can be made that by allowing people into the park, the NPS has violated the contract by taking on the role of administering the park's day to day operation outside of the contract. Clearly you are somewhat Pavlovian in your responses to these posts. When you see a contractor saying "closing the parks in an arbitrary manner is wrong," you feel that you have to jump in and attack the person writing the post than facing the inherent arbitrary and capricious nature of the NPS and the closings. So he should be grateful that his business can be arbitrarily suspended for political reasons, no matter how well his company performs? Seems like you're arguing for an ideological litmus test for government employment. Not sure I agree with the 'implicit subsidy' argument. Sure, the feds don't pay property taxes and their land acquisition costs are relatively low (often simply signing a law or issuing an executive order). But that doesn't necessarily equate to an implicit subsidy to private concessionaires. If anything, it suggests that the feds have enormous bargaining power since they are such huge buyers for vendors like RRM. I don't know the state of the market, but I imagine the feds have enough leverage to behave like a quasi-monopsony - exerting real influence on the price of goods to the detriment (or benefit, of course) of their suppliers. More to the point, do libertarians have a duty not to ever engage with government? Do progressives have a duty not to ever engage with low-paying corporations or gay-hating churches? Do vegans have to boycott all interaction with animal exploiters? I don't subscribe to the view that you can only trade or commune with people who live by your rules. That's a recipe for balkanization and division, rather than peace and cooperation. Think about your rule. Should restaurants refuse to serve employees who engage in work they ideologically oppose? Should paper suppliers and car sellers refuse to give those employees access to their wares? That would mean that no libertarian raw milk seller could let an employee of the Education Department buy his unpasteurized products; no vegan could sell kelp snacks to butchers; no kosher-keeping Jewish bookseller could sell his books to pig farmers. Obviously that's a recipe for extreme division and doesn't even make sense. The relevant personal principle should be this: does the act of commerce you are engaging in have a direct relation to the ethical rule being violated? So a vegan selling lunch to butchers on lunch break is not unethical (in my view), but a vegan selling his slaughtering services would be unethical (to a vegan), and a vegan selling cutlery to slaughterhouses would probably be over the line. I'm not sure what vegans would think of selling office supplies to a meat company, but I don't think it's unethical - even though it indirectly supports the slaughtering, the actual activity engaged in (selling office supplies) is not implicated by veganism. For libertarians, it would be wrong to arrest people for using drugs, and wrong to be a fed lawyer who seizes private property for use as a park, but not wrong to sell food or supplies to the government agencies that do those things. He's serving the customers and improving their lives, without forcing them to do anything. Sure he has to pay the government for the 'privilege' of doing so, but that's no different from every other business. Everybody who works or sells in this country is obligated to pay multiple taxes and usually to obtain multiple permission slips; if you hire employees, then that's way more taxes and way more paperwork. I don't see the moral difference between paying a bunch of taxes and getting a bunch of permits to sell ham sandwiches versus paying a bunch of taxes and rents and getting a bunch of permits and a lease/permit to sell recreation services. The government treats it different in a legal sense, but it's economically almost identical. Get special permission and pay money to the government, which treats itself as de facto landlord of the whole country. He's not engaging in any coercion or implicit threat of violence. He pays his rents and taxes, so the government lets him sell services to the public. Nothing wrong with that. The only difference is with a special use permit, they can arbitrarily shut you down; with a title or a true lease, they can't just capriciously order shut down. Thank you for your thoughts. The problem is, I have no rule such as that you are describing. My position is, either libertarians honor and live with contracts they sign, or they don't. There was no coercion. This fellow signed a contract which explicitly granted the government the right to shut down his facility. They exercised that option. And now this fellow, who hates the government so, thinks the whole thing is so unfair, and is unwilling to simply abide by the clear terms of a contract he signed. That is, in a word, dishonorable. Imagine I were a landscaper (I'm not). I am a liberal, and I am not a fan of evangelical churches. If I signed a contract to mow a church's lawn (which, were I a landscaper, I'd have no problem with, because the "rule" you attribute to me isn't mine), and the contract gave the church the right to cancel for any reason, and they canceled... you can be sure I wouldn't write whining blog post after whining blog post about their decision. I would be aware of what I'd signed, along with the options to which the counterparty (church) was thereby entitled, and I'd go on with my life. By the way, as a non-fan of evangelical churches, if evangelical churches were my biggest, or sole, business partners, I probably wouldn't run a blog pointing out their hypocrisies and shortcomings day-in-and-day-out. Anyway, the contract hasn't been violated. Full stop. I thought libertarian-types would be good, reliable people to contract with. I am now getting the opposite impression. Please. I have no problem with him having a contract. I think it is embarrassing that he is so unwilling to accept and live with the explicit terms of the contract he signed. That's the spirit! Make something up! "You hate the government, so it infuriates me that the government grants you the boon of your contract." I realize that things get lost in the translation on the internet, but that comment sounds exactly like someone who has a "problem with him having a contract." It infuriates me that a gratitude-less whiner like this has a contract with my country, but I don't claim he has no right to enter into that contract. It's a free country. People can enter into contracts to do things I don't personally like... or even which infuriate me. Doesn't mean I think they can't or even shouldn't enter into those contracts. Once people enter into contracts, though, I think they should live with the terms of those contracts. I think that's especially true for independent, rugged, self-sufficient libertarians. They're supposed to be honorable people, not whiners. Seriously man, someone must be hacking into your log in here because you say you don't have a problem with a contract being awarded to someone and this obvious imposter keeps replying that they are infuriated by those contracts and people should not enter into those contracts. This has been brought up before and you deemed it unworthy of a response, but it is clear to any logically thinking person that the NPS is enforcing contracts in an arbitrary and capricious manner. That's what the issue has become. The government, through the NPS is enforcing some contracts for access and not enforcing others. Are you, as a died in the wool liberal, saying that you are happy with the idea that people are being treated differently by the government? That companies identical contracts are being treated differently? It sure seems like that is what you are saying. But if that were the case, that would make you a prejudicial liberal which would mean...... oh. Never mind. I apologize for using the redundant term of "prejudicial" and "liberal." Where do you get the impression that he is not abiding by the terms of his contract? Or are you just saying that because it sounds so much better than "I hate libertarians and so I'm going to come mewl in the comments section of a libertarian blogger about how I find his philosophy distasteful"? His contract says he can be shut down. He is contemplating the "civil disobedience" act of re-opening despite the government's contractual right to shut him down. That would be "not abiding" by the contract. Also, I don't (or, perhaps, didn't) hate libertarians... I always found them amusing, relatively easy pickings intellectually, so not very interesting. I do, however, hate hypocrites. And whiners. And entitled parasites who don't even have the self-awareness to recognize the hosts off which they feed. Again, pokeyblow not liking something, or "having a problem" with something, is not the same thing as pokeyblow saying something is illegal, or should not be allowed. I have problems with tattoos, country music, confederate flags, mullets, &c &c. But morons who want those things should be able to get them. I've always had the impression that libertarians, while naïve and hypocritical about many things, were principled sorts of people. Now I know the truth. A libertarian who doesn't get his way will disregard all contracts, all agreements, all promises. Libertarians cannot be trusted. It's a sad thing, but good to know. And once again, if you had said that you don't like something and left it at that, that would be fine. But that is not what you said. You specifically said that you didn't want the contract to be awarded and have spent the majority of this part of the thread denying that you even said it. It would have been one thing to own up to what you said and that would be the mature thing for your to do. Instead, you have tried to shift the goalposts. You have gone from someone saying they were contemplating civil disobedience to actually charging they were going be civilly disobedient. He has not, as you have stated "disregarded all contracts." In fact, the author has not disregarded any contract. You still won't address the "arbitrary and capricious" nature of shutting privately owned sites by the NPS which shows a lack of dishonesty on your part. So let's see...... you have fabricated an argument, been hypocritical, acted immaturely, and been dishonest. That is good to know about you, don't you think? I don't want Kenny Chesney performing concerts this year. I don't want the Kardashians on TV. I don't want Texas to elect goober Ted Cruz to Senate. But I recognize that I have no standing to stop those things from happening, and that is as it should be. An honorable person wouldn't contemplate violating a clear contract signed without duress. That "option" would not occur to an honorable person. Regarding the "arbitrary and capricious" decision, I don't care. Got that? I do not care. Executives make decisions. Children are being denied cancer trials, which is bad. Veterans' families are (or were) being denied death benefits, which is (or was) bad. But executives (and executive branches) make decisions. This is America, and we elect a guy called the "President" who heads up that end of things. You don't like it, become President yourself and do things differently. Or find someone who isn't loathsome like Romney, or a traitor like McCain, who thinks like you do, and work to make him/her President. If you don't like the shutdown, talk with Ted Cruz and John Boehner and persuade them to end it. I'm not that interested myself; the shutdown is fine with me. Frankly I don't care what you like or what you want. That is not the issue and never has been. capable of gratitude, would do a much better job." That is a clear indication that you have some sort of animus toward the author of this blog and would be happy to deny them the ability to get a contract because they don't think like you do. Furthermore, you commented on the quality of their work without foundation. The "arbitrary and capricious" part of this discussion does matter because of that little thing called the Constitution. I know that you liberals hate the document, but if you think the government can treat people differently that once again shows the hypocrisy within you. Furthermore, the fact that businesses are being treated differently i grounds for breaking a governmental contract or at the very least, initiating civil disobedience for that unequal treatment. As for who to blame for the shutdown, you can blame the Republicans, but they have sent spending bills to the Senate which have not even been brought to the floor. The president has said he will veto anything that isn't the way he wants it and therefore is acting like a petulant child. So while you are happy, there are people who are wanting to work and bring money into the government but the childish actions of the president - unlike all the presidents before him - has decided not to let people work or bring money into the government. You may find that admirable. You claim that the President is the executive and I accept that. However, it doesn't mean that this president has acted in the best interest of the people. It doesn't mean that what he called a "failure in leadership" when the debt ceiling was raised in 2006 should be, according to him, the same failure of leadership he is now exhibiting. The bottom line is that you are happy with the hypocrisy of immaturity of liberals such as the President because you have the same hypocrisy and immature beliefs. He has a contract, with clear terms, which have not been violated, per his own admission. Rather than accepting a completely legitimate, perhaps temporary, state of affairs like a responsible adult, he whines and moans and makes a spectacle. If I had any faith in the "philosophy" he claims to champion, I'd be embarrassed. But I recognize that "philosophy" as wrought with contradictions, and its practitioners as mildly amusing folks of minimal depth. So none of this is really surprising. "I've been on food stamps and welfare. Did anybody help me out? No!" Very interesting that the big Ski areas cut special deals with US Forest Service. I don't blame you for being disgusted but I also think it is naive to expect this administration to honor a contract. The big ski area that I know something about (Aspen Ski Co) is a big contributor to the Democrats. Michelle and the daughters were using Paula Crown's home on a vacation there. Obama is such a fan of BIG business that he wants the smaller ones to die. It is about power over the little people in order to control everything. I have looked everywhere on the Internet for info about the ski areas and this is the ONLY place it is mentioned. Thank you so much for posting about you experiences. Just a technical thought, but being that the Forest Service has at least implicitly opened areas that you are responsible to manage, you consider sending a letter to the contracting Officer noting that you are not receiving the revenue from these visitors (since you have been issued what amounts to a stop work) and that you will either file a claim with the court of claims for the lost revenue from the visitors that have continued to come or will file a claim for the cleaning costs or required to return the location to its contractually required condition. A formal letter to the CO to that effect, along with some pictures may get things moving. This happens when you vote for a low life!